Real Madrid president Florentino Perez has sent his best wishes to Tito Vilanova after the Barcelona coach suffered a relapse from the tumour from which he suffered last season. It was confirmed on Wednesday that the 44-year-old was suffering from the disease once more, and he underwent successful surgery on Wednesday. “It is a very sad day and everyone is shocked,” Perez told reporters. “The whole of Real Madrid – not just me, but the coach, the players and all the fans want to wish him well. “I also want to send my best wishes to his family. Tito – you can fight this battle, you must win and you will win,” the 65-year-old added. 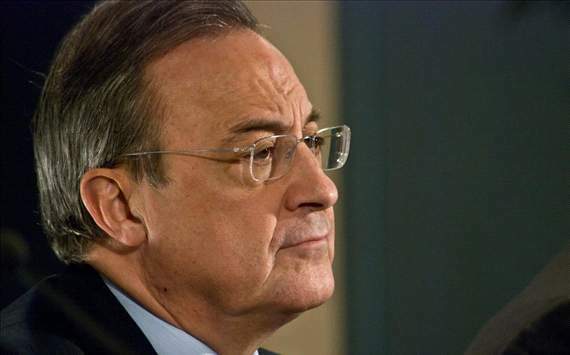 Perez went on to talk about his side’s fortunes over the past year, both on and off the football pitch. “Real Madrid have had a good past year,” he continued. “We reached the semi-finals of the European Cup and won the Liga, breaking all the records. “But at Madrid that is not enough. We have to win everything. The club has economic and institutional strength. This year has been especially hard, more than any other I’ve known – and football is not immune.